From a very young age it has always been my dream to create art, in whatever format. My 10+ years in secondary teaching was a brilliant opportunity to share my passion for art whilst developing the skills of others but I never really felt that I was making full use of my gifts/talents or that I was doing what I was made to do. Between completing my degree in illustration in 2001 and July 2015, the busyness of life (being a wife, a mum and a teacher), had meant that there were very few opportunities to create art work of my own. I had always assumed that pursuing this dream would be something that would have to wait until retirement years. Never did I really imagine that I could earn a living from being an ‘artist and illustrator’! There are so many fantastic artists in Suffolk. I guess that was my ultimate fear in making the decision to step out of the relative security of a career in teaching last summer; would people really like my work enough to want to buy it? The great news is that I am selling my paintings! The responses I have received to date have been so encouraging and suggest that I have made the right decision even if it wasn't the easy or obvious one. There is no route map ahead; I genuinely don't know where this is going to lead. One thing I can say for certain though; I am loving this journey! I really hope you enjoy looking through my work. My two favourite mediums would definitely be watercolour & acrylic. 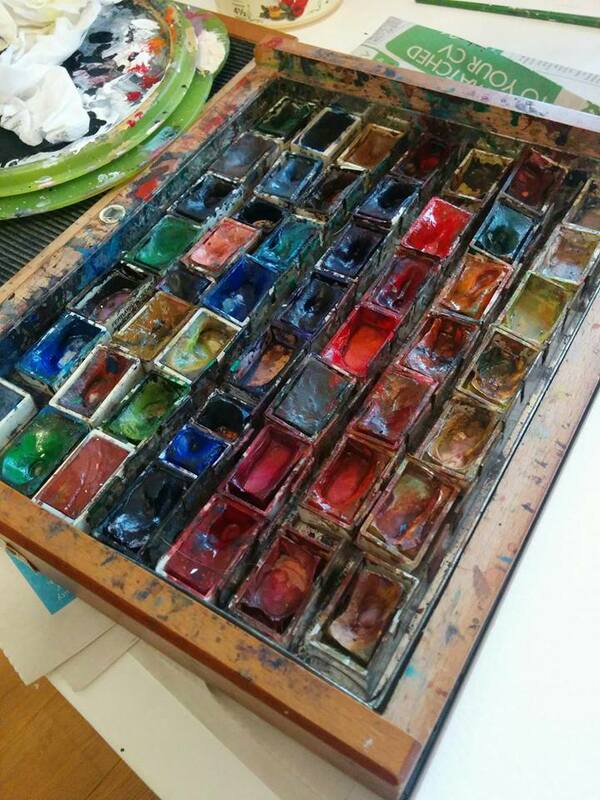 I love the expressive nature of watercolour & the intensity of colour you can achieve. I also really like the versatility of acrylic; it feels like no picture is lost in acrylic as you can continue to develop it until it becomes the picture you want it to be. So much of who I am is reflected in my art work. I love to have fun, live for the present, be spontaneous, take risks & push the boundaries. I also love colour & variety. Potentially my favourite commission to date was being asked to translate my expressive watercolour style, typically used for animals, to a young boy. Initially I questioned whether I could do this but decided to take up the challenge & was over the moon at the response I received from his dad to the finished painting. To already have delivered such a variety of assignments that continue to stretch me in so many different ways has been brilliant!